Fortunatly though PCS have continued with their He-man line and hopefully if successful enough this will spark off a the Thundercat line to be started up again. Just to add I will do a separate page for the He-man/Battlecat combo as it is technically a different line. Evil Lyn is the only female member of the Evil Warriors, she is an evil witch who aids Skeletor as his second-in-command with her powers of darkness. She is vastly more intelligent than Skeletor’s other minions, and while she admits that she is not as powerful as Skeletor, she readily confesses that she hopes to seize her master’s powers and lord it over Eternia herself one day. Thus, she has worked completely independent of Skeletor on multiple occasions. 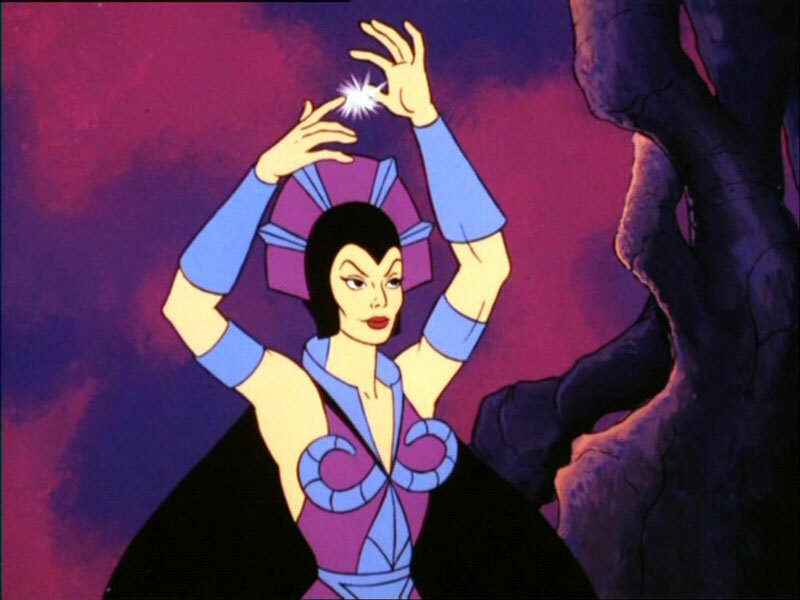 Her trademark is the magic wand crowned with a crystal ball, but Evil-Lyn typically generates magic without the assistance of any instruments.